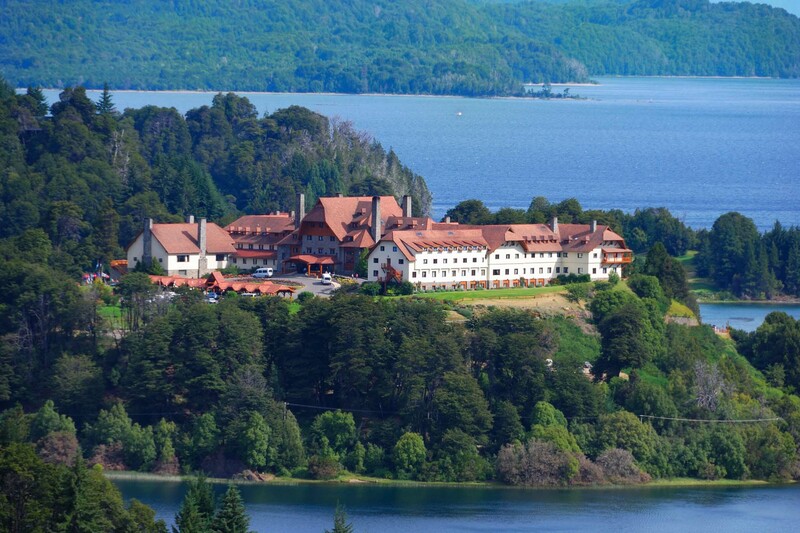 Llao Llao Hotel & Resort, Bariloche, Argentina. Photo: Llao Llao Hotel & Resort. Luxury Argentina Tours & Travel. Due to the extension of the country and its location, Argentina offers a wide variety of climates. The Argentine mainland is mostly temperate, with seasons reversed from those in the northern hemisphere. The northern areas around Iguazú are tropical, while southern Patagonia weather might be cold and windy, for sure unpredictable and varies a lot from morning to afternoon. Winter goes from end of June to beginning of October, while the summer season is from December to March. Winter season may be cold and rainy (depending on the year) in certain areas of Argentina, while in the Northwest the weather is usually perfect to enjoy beautiful sunny days and warm day temperatures. On the other hand, summer is hot and humid in Buenos Aires. In the Northwest days are warm with sometimes heavy rains. In Patagonia weather may be a little chilly due to the wind but still sunny. Buenos Aires 5°C - 29° C 51 Mm. - 123 Mm. Salta 16ºC ­ 22º C 500 mm ­ 700 Mm. Tucumán 13ºc ­ 25º C 1000 Mm. ­ 1200 Mm. Iguazú 11ºC ­ 32º C 1800 Mm. ­ 2000 Mm. Corrientes 15°C - 27° C 40 Mm. - 701 Mm. Mendoza 3ºC ­ 33º C 250 Mm. ­ 300 Mm. Bariloche 2ºC ­ 25º C 150 Mm. ­ 600 Mm. Trelew 0ºC ­ 15º C 50 mm ­ 60 Mm. El Calafate 5ºC ­ 20º C 200 Mm. ­ 300 Mm. Ushuaia 0.6°C - 9° C 23 mm - 54 Mm. Day pack 1 or 2 pants. Trekking shoes (that have been broken in) and/or riding boots. Comfortable gym shoes for resting. Warm parka and/or windbreaker. Gloves, hat/cap, bandanna, sunglasses. sunscreen/sun block, soap and towel. Flashlight with extra batteries. Water bottle. Gaiters (optional). Camera and lots of film/memory space. For private tours, an average of US$ 30 per full day tour is suggested as a tip for your local guide, with US$ 10 suitable for your driver. For half-day tours, US$ 15 and US$ 5 are appropriate for guide and driver respectively. Transfer guides are usually tipped at a rate of US$ 5 with US$ 3 for the driver per service. Tipping for luggage handling at hotels is usually US$ 1 or US$ 2 per piece. At restaurants a typical gratuity would be 10% of the total. Finally, taxi drivers do not usually expect tips, but it is customary to round up the fare. Telephones: Argentina's international code is 54, while the area code in Buenos Aires is 11. All the telephone numbers in the city begin with 4, 5 or 6, and the area codes for making long distance calls vary according to the region: 11, Buenos Aires and surroundings; 2, southern interior regions; 3, northern interior regions. All national and international calls can be made from public telephones, "telecentros" (telephone centers), "locutorios" (telephone offices) and hotels. It is possible to find a public telephone on almost every street corner, most of them accept phone cards that can be purchased at kiosks and stores, and some accept coins too. Cellular telephones: A tri-band world phone will operate in Buenos Aires and in most pars of Argentina; however it is important to check with your local provider about instructions to operate it and its local contact in our country. There are a few companies that rent out cell phones for short-term use. E-mail and Internet access: Internet services are becoming more common and cheaper in Argentina as in all other Latin American countries. It's much easier to access internet in larger cities, but it's possible to find Cyber cafés or internet service even in the "telecentros" (call centers). Most of the hotels in big cities provide internet service (sometimes at an extra cost). The official currency is the Argentine Peso. Currently, about 5 pesos are equal to 1 U.S. dollar. Bills are in denominations of 2 pesos (blue), 5 pesos (green), 10 pesos (brown), 20 pesos (red), 50 pesos (grey), and 100 pesos (violet). Coins are in denominations of 1 peso and 1, 5, 10, 25, and 50 cents. Important Note: In Argentina, the $ symbol represents an amount in Argentine Pesos. US Dollars are represented by US$ or USD. Major credit cards are widely accepted in main cities and in some smaller areas. It is advisable to have cash -- in pesos and of small denominations -- when travelling to small cities or remote areas. Traveller's checks are accepted in major cities, but with restrictions. ATM machines are the best way to get local currency; however, we recommend checking with your local bank to find out about costs and local partners in Argentina. Should you need to change your own currency into pesos ($) we suggest you do it banks, exchange bureaus or at your hotel. Do not exchange any money with people on the street, as it is illegal. Please remember that you will be asked for your passport. Argentina's time zone is 4 hours behind GMT (Greenwich Mean Time) corresponding to UTC-3:00 (Universal Time Coordinate, before Greenwich Mean Time). Argentina does not currently participate in daylight savings time to save energy, although this varies every year and it is advisable to check locally. In Buenos Aires, offices and shops are open from 09:00 AM until 06:00/ 07:00 PM (18:00/ 19:00 Hs.) and lunch break (one hour) is generally between 12:00 PM and 2:00 PM (12:00/14:00 Hs.) As for the rest of the country, lunch break tends to be longer and includes the siesta. Museums in general are open 6 days a week from Tuesday to Sunday. Some stores in the larger cities open 7 days a week and in Buenos Aires the magazine stands and some stores are open all night long. Banking hours are from 10:00 AM until 3:00 PM. Please note that bargaining is not a common practice in Argentina, unlike other countries in Latin America. Electricity: Electricity in Argentina is 220 volts, 50 cycles and an adaptor will be needed to use 110-volt items. Flat-pronged plugs, North American and European, need adapters; since plugs in Argentina are with double or triple round prongs. If you have adapters, bring them with you for greatest convenience. If not, you will be able to request them from your hotels. Weight and Measures: Argentina uses the metric system of measurement; thus, distance is measured in meters, weight in grams, temperature in Celsius degrees, and volume in litres. Water: Water in Argentina is drinkable; however we recommend drinking bottled water. Insurance: Travel and health insurance are strongly recommended. Medical assistance and first aid in Argentina is good, however it is always important to get insurance. Normally it will be based on refund expenses, for which we suggest checking ­- prior to departure -- who the local contact/partner is, and where to call them if need be. The two main airports in Buenos Aires are the Domestic Airport (J. Newbery, also known as Aeroparque) and Ezeiza (Ministro Pistarini International Airport), located 34 km (21.25 mi) from city center. Airline companies require passengers to check in three hours prior to departure for international flights, and two hours prior to departure for domestic flights. Pick up times for transfers will be therefore scheduled taking this requirement into account. Ezeiza (EZE ­ Ministro Pistarini) is the international airport and Aeroparque (AEP ­ Jorge Newbery) is the domestic airport. Due to the distance between the international and domestic airports, and the sometimes heavy traffic, connecting flights require a minimum of 5 hours between flights. We are aware that some GDS show and "authorize" the purchase of tickets with shorter connections than the ones mentioned but we STRONGLY RECOMMEND avoiding them. In order to guarantee a smooth change of airports, we suggest a minimum of a 5 hour connection time so in case of delays, clients will stand more chances of making the connection successfully. International airport taxes: Passengers departing from Ezeiza International airport on an international flight are to pay US$ 18 for the airport tax payable in pesos, US dollars or a combination of both. For security reasons, we are not able to access the information of the flights for passengers arriving in Argentina on an international flight. Because there is no way that we can get the information in case of a missed flight or connection, please call Inka's Empire Tours as soon as you become aware of a problem. Baggage allowance for domestic flights is 15 kg (33 lbs) to check in and 5 kg (11lbs) as carry on per person. Any luggage heavier than these limits is charged an additional US$ 2 per kilo (2.2 lbs). In our past experience Aerolíneas Argentinas and LAN Argentina have not strictly enforced these limits; however, these are posted limits that passengers are responsible for complying with. Baggage allowance for international flights is usually 20 kg per person, but for further information we recommend you to check with your carrier locally. Combined Services: When Domestic services are combined with Regional and International flights (or vice-versa), with same or different class, the luggage allowance will be that of the International or regional route, provided that the coupons have been issued on the same ticket. However, we highly recommend checking this information with each carrier locally. We will do our best to accommodate early arrivals, but please note we cannot guarantee the availability of the hotel room when arriving on early-morning flights, since regular check-in time at most hotels is usually around 3 pm. Visas: Citizens of the US, European Community, UK and Latin American countries do not need a visa to enter Argentina for a maximum of 90 days; nevertheless a valid passport is required. Citizens of Argentina's neighbouring countries like Chile, Uruguay, Bolivia, Paraguay and Brazil only need their identification card. For other countries it is advisable to check with the local consulate or embassy. Visa extensions: Upon entering the country visitors receive a tourist visa stamp valid for 90 days, which can be extended for 90 more days once the first term is over. Photocopy of the airline ticket (if paper ticket), credit card and any other relevant documents. These will be extremely useful in case of lost or stolen documents. Airline companies require passengers to check-in three hours prior to departure for international flights, and two hours prior to departure for domestic flights. Please note pick-up times for transfers will be therefore scheduled taking this requirement into account. There is a sales tax refund of 21% that applies for purchases of 70 $ (pesos) per invoice minimum, for local purchases made at the stores that show the GLOBAL REFUND sign. The refund is effective at Ezeiza International airport, where passengers will find a counter close to the Nº 25/27 Check-in area with a "Check stamp" sign. Passengers will be asked to show the invoice and probably also the item purchased, we therefore suggest doing this before heading to the check-in counter, so that pax still have their baggage with them. When passengers get to Ezeiza International Airport, the airline staff at check-in will provide them with a "cabin luggage allowed" and "not allowed" fact sheet. Before they enter the area beyond security, the airport police will normally conduct a thorough body search, and even footwear and all the personal items that passengers are carrying must be x-rayed. In the duty-free shop, passengers can purchase liquid, gel and spray items which will be delivered to the plane entrance. Please note that passengers with a connecting flight inside the U.S. will not be able to carry these items onto the plane. Argentina has produced some of the world's greatest writers, novelists and playwrights. The spirit, culture and imagination of the country and its people are reflected in their work. You may wish to check Jorge Luis Borges, Julio Cortazar, among the most famous ones.